Thursday 1st of July 2010, 6 for 6.30pm. This happened... is a series of events focusing on the stories behind interaction design. Having ideas is easier than making them happen. Each event delves into projects that exist today, how their concepts and production process can help inform future work. Monday 25th January 2010, 6 for 6.30pm. 16th & 18th December 2010, 8pm. We are delighted to announce two winter concerts featuring Shackle [Anne La Berge (flute and electronics) and Robert van Heumen (computer)]. The first concert will include a new work for bow, box and electronics by Owen Green. The second concert will be a presentation of work developed by Shackle and workshop participants followed by some time to celebrate the season. 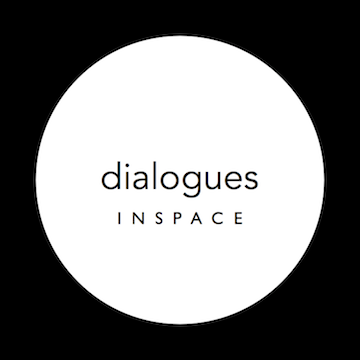 Our tenth and final Dialogues concert of the 09|10 season at Inspace is designed to offer some respite from the hectic babble of the Edinburgh Festivals. Come in late and relax until the early morning with drones and deep listening from some of most interesting and unusal creators of ambience working today. Friday 21st May 2010, 8pm. Our ninth Dialogues concert features the inimitable improvising guitarist Fred Frith. We are also delighted to be hosting the Edinburgh leg of Norwegian ensemble The Geordie Approach's summer tour. Fred will work with students on the MSc in Digital Composition and Performance and Sound Design over the weekend and there will be a second performance on Sunday night informally showing the fruits of their work together. Our eighth Dialogues concert takes a transdisciplinary sidestep into work of several artists who conspicuously use space and place to produce sound. Jacob Kirkegaard will make his Scottish debut with Sabulation, an audio-visual work based on the so-called 'singing sands' in the deserts of Oman. Matt Rogalsky's performance will activate different spaces in the room using sounds recorded live from inside and outside the building. Buffalo buffalo buffalo Buffalo buffalo will present a work which uses difference and repetition to explore the performance space.